Easter is my favorite colorized holiday. You can not go wrong. Pastels and bright colors, both work together and separately! We are so excited this year because it’s the first that baby CJ will be egg hunting! 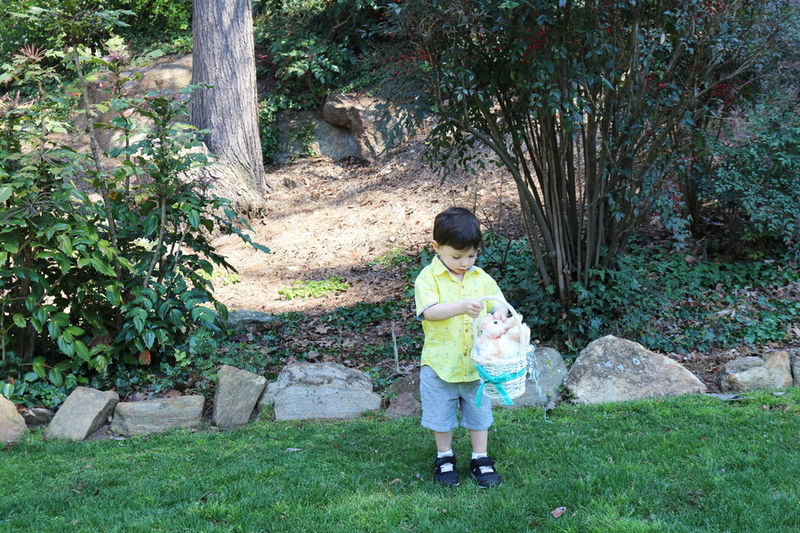 Our neighbourhood held an egg hunt even last week and although baby CJ didn’t find many eggs, it was so much fun! Of course, we still plan to have our own little hunt out in the backyard, so that’ll be fun! Easter is so much fun for us because we started a family tradition when we had baby CJ. 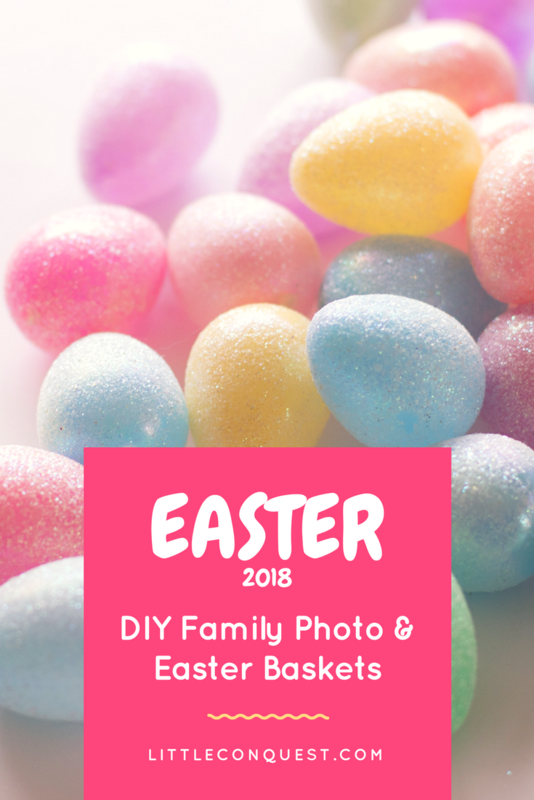 We love to DIY our Easter Family Photos and we’ve been doing it for 3 years now. It is so easy to do and now that we live in a more picturesque place, it’s even easier! We’ve also acquired a new camera and tripod back in November so it made things that much better. Just take a look for yourself! 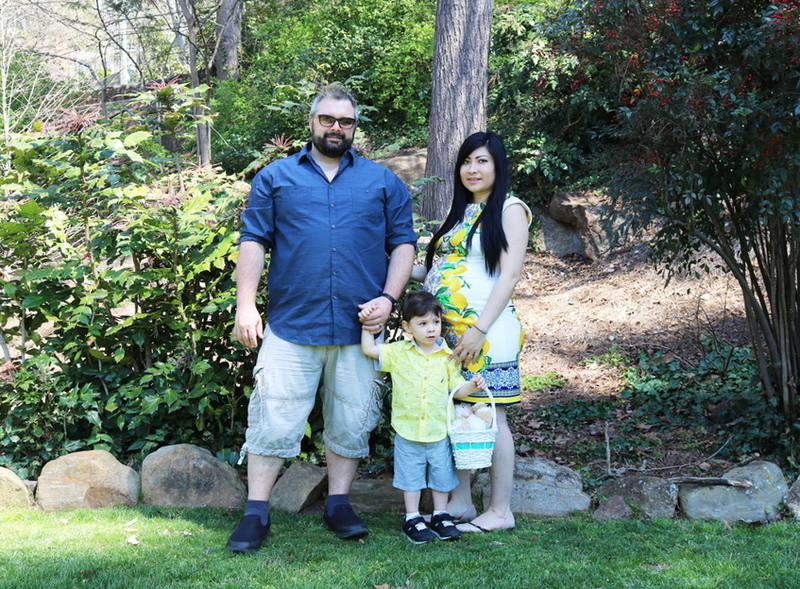 **Yes, we had a few mishaps because baby CJ did not want to look at the camera, but still, we got a shot! Another thing that we like to do is DIY our own Easter Basket. But, we also like Easter Basket alternatives. Here are some DIY Easter Basket ideas to inspire you! Make your own basket! I personally think these are better because you can fill them with things they’ll like without compromise! I love the idea of jars. This works especially great when you want to add those little chocolate eggs! It could also be more of a display and you can use the jar later for other things! Cups with lids are great as well because they can be used daily once all the candy is gone! They are super easy to make and you can find everything you need at the dollar store! Not only is it cute and different, but those boots will probably come in handy during rainy season! Last year we made a delicious strawberry peeps cake and it was super easy and inexpensive! I’m sure whichever basket method you choose to go with, your little one will love it, after all, who can refuse handfuls of candy and toys! Haha. 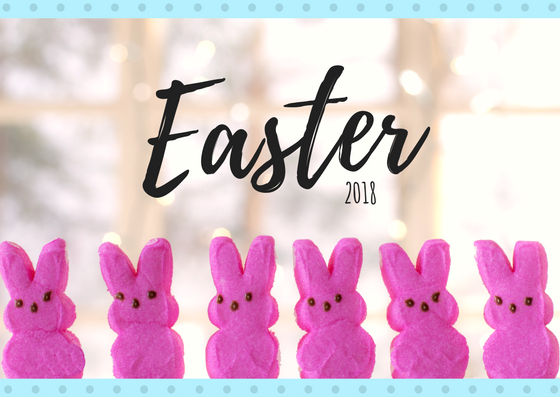 How will you be celebrating Easter? Will you be making your own Easter Basket? I’m a bit late, but Happy Easter darling! These are such cute ideas. Happy Easter! your pictures look so good!! I love the rain boots as a basket idea!! Thank you! and it really is, I love gifts with more than 1 purpose!